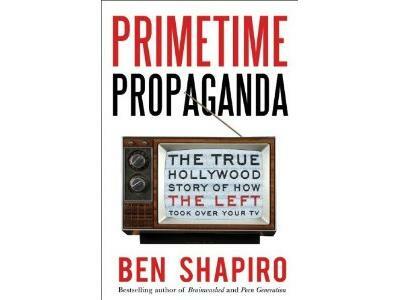 In this thoroughly researched and detailed history of the television industry, conservative columnist and author Ben Shapiro argues that left-leaning entertainment kingpins in Los Angeles and New York have leveraged—and continue to use—their positions and power to push liberal messages and promote the Democratic Party while actively discriminating against their opponents on the right. According to Shapiro, television isn't just about entertainment—it's an attempt to convince Americans that the social, economic, and foreign policy shaped by leftism is morally righteous. But don't take his word for it. Shapiro interviewed more than one hundred of the industry's biggest players, including Larry Gelbart (M*A*S*H), Fred Silverman (former president of ABC Entertainment, NBC, and vice president of programming at CBS), Marta Kauffman (Friends), David Shore (House), and Mark Burnett (Survivor). Many of these insiders boast that not only is Hollywood biased against conservatives, but that many of the shows being broadcast have secret political messages. With this groundbreaking exposÉ, readers will never watch television the same way again.